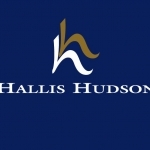 Welcome to Mabel & Mason, curtains blinds and soft furnishings. My professional business prides itself on a tailored personal service to meet customers exact requirements. Im based in the lovely Lake District and specialise in bespoke hand-made curtains, blinds, soft furnishings and small upholstery projects. I cover all areas of South Lakes, including Kendal, Lancaster, Ulverston right up to Windermere and Ambleside. 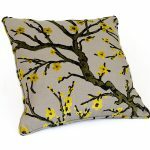 I’ve always had a passion for working with fabrics so I trained at the National Design Academy, obtaining a diploma in Professional Curtain Making & Soft Furnishings to complement my reputation and collection. Im happy to meet you in the comfort of your own home where you can view samples of my unique fabric collections. The collections range from traditional wool tartan, made just down the road in Lancashire, to contemporary fabrics and upholstery fabrics. The Studio is a handmade curtain, cushion and Roman blind making workshop on the outskirts of halifax. 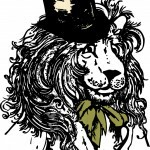 We are stockists of WILLIAM MORRIS, SANDERSON, CLARKE & CLARKE, ILIV, STUDIO G, FRYETTS and PRESTIGIOUS fabrics as well as JONES TRIMMINGS and a range of poles and tracks. We make everything in house with hand sewn finishes. From a single cushion to a full window treatment we will be happy to advise, measure, make and hang your whole project. We are passionate about our curtains and pelmets. 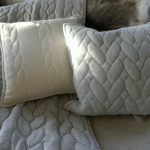 Handmade by Maria is a home interior soft furnishing design and creation company based in Merseyside. 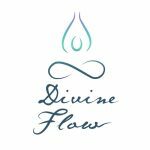 The business was created by Maria Judge, a designer who has created bespoke curtains and pelmets for clients for over 30 years. With all those years of experience in the soft furnishing trade, Maria quality assures every product created for our clients, ensuring the highest possible standard every time. 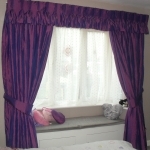 We specialise is curtains, pelmets and headboards with additional soft furnishings such as cushions, bed runners, wall hangings, wallpaper and glitter products to match your chosen fabric! Our designs are created to the exact requirements of clients, giving us the ability to change fabrics, sizes, colours and dimensions to ensure a superior finish. 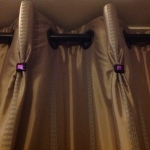 With our delivery and fitting service available in Merseyside plus some parts of Cheshire and Greater Manchester, we take care of everything from removing your old curtains poles to pleating your new curtains just the way you like them. For those clients outside of our fitting area, we offer a courier service with detailed fitting instructions, together with telephone support. At Handmade by Maria, all our team have one mission – To deliver exceptional client service! Our goal of increased client satisfaction is something we continuously strive to achieve. Here at Candid Owl we use stri­king metallic and co­ntrasting fabric int­eriors to handcraft bold, statement lamp­shades which are fun­ctional but eye catc­hing. Our collecti­ons showcase a varie­ty of colours and st­yles to suit all tas­tes. Bespoke order enquiries are welcome! 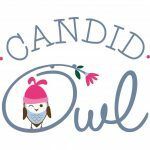 View the collection at http://www.candidowl.com or call 01527 33702­6. 4WD Accessories Direct are 4WDers, who know and test products to make sure best products are offered and at the right price. 4WD Accessories Direct offers a wide range of 4WD products, from set ups and accessories, to comp spec accessories for the extreme. Business name: 4WD Accessories Direct. We come to you! Mobile interior design service – no call out fee. An extensive collection of fabric, curtain pole, wallpaper, blinds, furniture and carpets samples – all in a one-stop shop. Free help and advice. 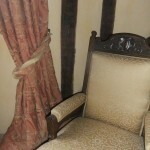 Curtain and Upholstery service. Hundreds of different, and unusual fabrics to choose from. Some suppliers you’ve heard of others are less well known. Cuttings and Large returnable samples available. iBizLeverage Web Services is an internet marketing company based in the Philippines. The web company provides comprehensive website services such as web design, web development, web hosting, graphic design, copy writing, search engine optimization or SEO, search engine marketing, and a lot more. iBizleverage Team does not only make websites, but make websites work for your business. 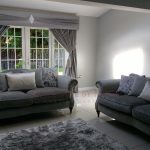 Grove Designs is a bespoke curtain and blind design and making business based in Steeple Bumpstead in Suffolk with a customer base that reaches far and wide. 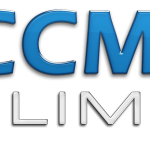 CCM Ace Ltd is a software provider focused on work within the soft furnishings industry. The Automatic Curtain Estimating (ACE) System by CCM ACE Ltd is an advanced computer software package for curtain estimating. It represents a significant step forward in producing accurate estimates in a fraction of the time of conventional manual estimating. Towering glazed gables, asymmetric windows, lantern lights, glass boxes and giant bi-folds are all part of the language of contemporary buildings. They make impressive statements, but can be hard to screen – often a necessity for both privacy and climate control. 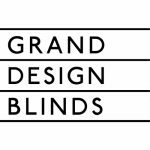 Grand Design Blinds are the leading experts in shaped blinds; shading and screening even the most challenging shapes and areas of glass. The company was set up by blinds specialist Jonathan Pelly-Fry in 2012. Inspired by the dramatic glazing of modern seaside houses in Cornwall, he began developing responses to their unique screening requirements. Joined by his son Nick as Design Director in 2014, they now run the business together, offering high-tech solutions to architects, designers and private clients worldwide. Grand Design Blinds make and install blinds everywhere from public buildings such as Le Manoir aux Quat’Saisons and the Gare du Nord to private homes, boats and even shepherds’ huts. By definition, each project is a unique challenge, needing a one-off response. Grand Design Blinds offer many different types of blinds, which combined with specialist materials and automated operating systems allow them to create shading solutions for even the most extraordinary locations. All their blinds are handmade to order in the UK. 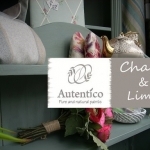 Bespoke handmade curtains, blinds, pelmets, cushions, headboards. Customers own fabric or fabric supplied. Measuring and design service available. Ring Jayne for more info. Swankies is a family run business which opened in 1993 specialising in contempory & traditional high quality custom made upholstery. Sofas, chairs, designer headboard’s and pelmets, through to beautiful hand sewn curtains, blinds and sumptuous soft furnishings. Plus a beautiful range of interior accessories are available in store. Master upholsterer David Greenwood and his experienced team use both traditional and modern techniques and have a very high reputation for care and professionalism. 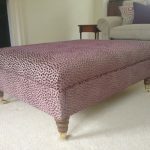 Swankies only use solid beech frames, skilfully creating anything from beautiful tiny footstools to huge sofas. Swankies can re-cover or repair your favourite and most loved pieces, making them as good, or even better than new. Bill Beaumont Textiles specialises in traditional and contemporary fabrics for use in window coverings and upholstery. The Chairman is former England and Lions rugby captain and Question of Sport star Bill Beaumont. Welcome to Dandylion Designs – a collection of fabrics and home accessories, where colour, cloth and pattern have been used to achieve subtle but dramatic effects that are timeless and complement both traditional and contemporary styles. Disneyland in Paris is the ultimate destination for spend your holidays with your friends and families. So don’t think and enjoy the trips to Disneyland in Paris by choosing the excursion packages. If you need to repair or recover a lampshade, Premier Lampshades is the best place to be. Our family has been in this industry since the 1930’s, so we’ve repaired every lampshade you can think of. Whether it’s a large or small, silk or fabric, modern or classic, we have the solution to every problem. In fact, we’re the only UK-based company that can recover every type of lampshade. We stock a selection of fabrics for you to choose from. 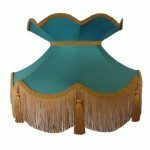 Alternatively, if you want to match the lampshade to your interior décor, you can provide a fabric and we will use it to recover your lampshade. Whatever you need, we can provide the ideal bespoke solution. Goodmans has been a great British brand since 1923 when it began manufacturing loudspeakers for the UK market. Since then the company has evolved to become one of the UK’s leading brands in the LED TV market. True to tradition, all of our TVs are manufactured in the UK with our customers service and after sales support also based at our plant in County Durham. The one stop wholesaler for all your window furnishing needs. 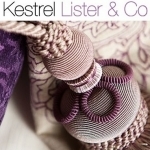 Established in 1974, Kestrel Lister & Co is one of the UK`s leading wholesalers of curtain poles, fabrics, tiebacks and workroom products. We design and co-ordinate our entire product ranges in-house from our landmark premises at Listers Mill in Bradford, also home to our 70,000sq ft warehouse. All of our products are available from stock, details of which can be seen on our website. We’re a family run, online mail order ecommerce store, offering a range of quality upholstery, furnishing and curtain fabrics. 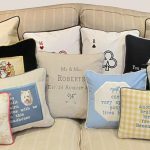 Selby Soft Furnishings also offers a range of professionally UK handmade soft furnishings, such as cushion covers, bean bag cubes and footstools. 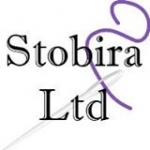 We are a family run company specialising in curtains, blinds and soft furnishings and our aim is to bring quality to the industry. Your soft furnishings will be made in our workshop tailored to your specifications by our highly trained workforce who can assist you every step of the way to fulfil your soft furnishing requirements. We deal with both trade and public, supplying from a single window to a full Hotel complex. Offering a wide selection of exceptional soft furnishing solutions and distinctive collections of flame retardant fabrics aimed at the Home and Contract Markets. Focusing on innovation and excellence, our inspirational woven designs, vibrant prints and decorative blackouts are synonymous in high quality as they are to effortlessly on-trend, designed and crafted.